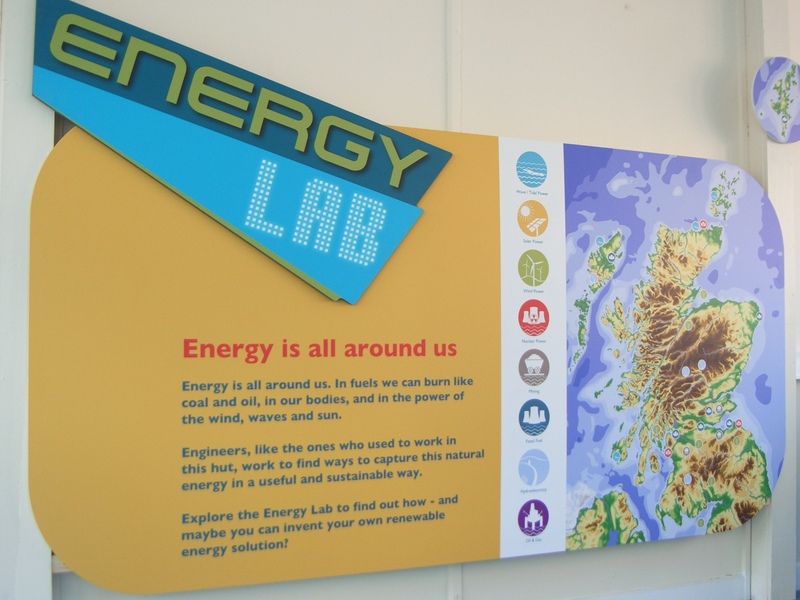 I am very excited to announce that the Energy Lab at the National Mining Museum Scotland is almost ready to launch! You can read about the origins of the project in this blog post. 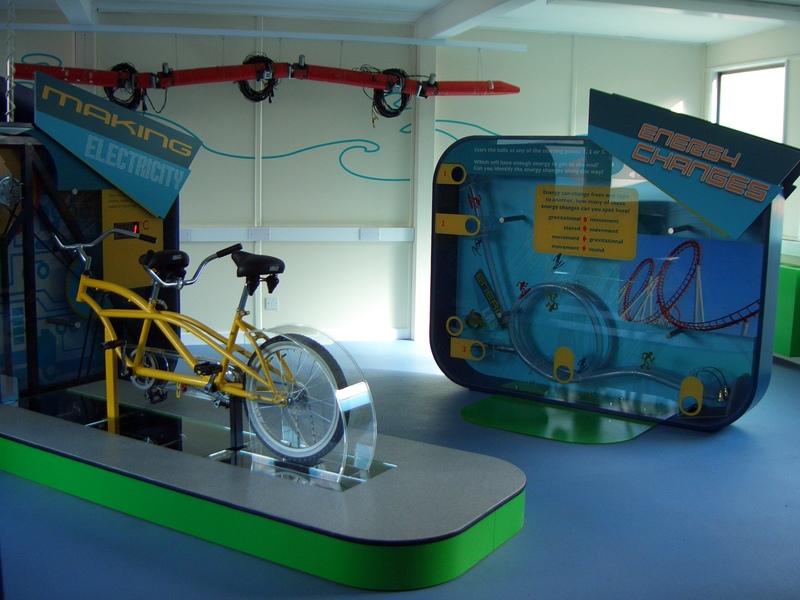 Since I wrote that in May, we have been very busy working with our designers and fabricators; Leach Colour to create the exhibits for the space. 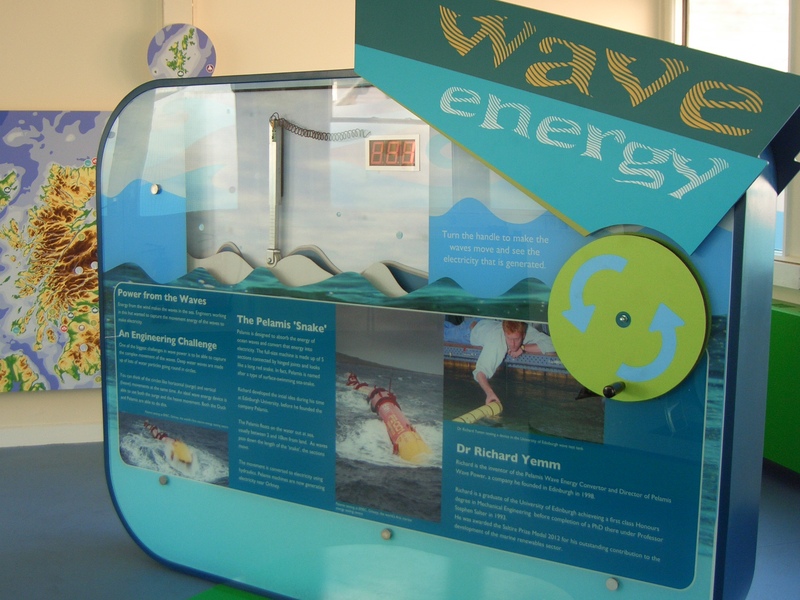 Roger Meachem of Yet Science CIC has worked hard with the museum staff on a supporting teachers’ resource full of pre- and post-visit activities about energy and engineering challenges. And Ryan Sturrock of Walk the Line Productions has filmed presenter Emily Carr demonstrating some of these activities for the supporting dvd and YouTube clips. 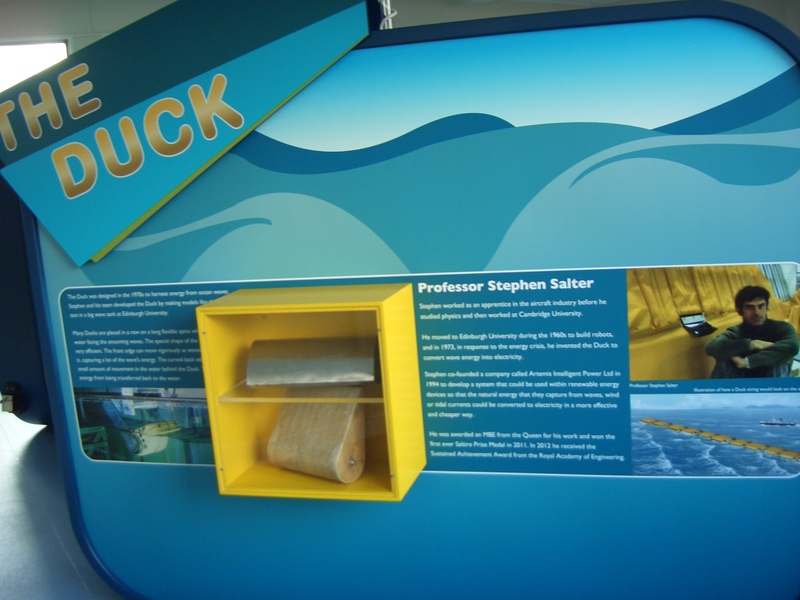 We have collected objects, photographs and film footage donated kindly by Professor Stephen Salter, the University of Edinburgh, Jamie Taylor, Artemis Intelligent Power and Pelamis Wave Power. And we have welcomed teachers and p6/7 pupils from three local schools to try out the activities, interactives and teachers’ pack. All that’s left to do is a little bit of final snagging before we welcome Fiona Hyslop, Scottish Government Minister for Culture and External Affairs to open the space formally on 1st October. Then we’ll get our teachers’ pack and film clips live on the museum website and compile our post-project evaluation report for our funders, the Royal Academy of Engineering. 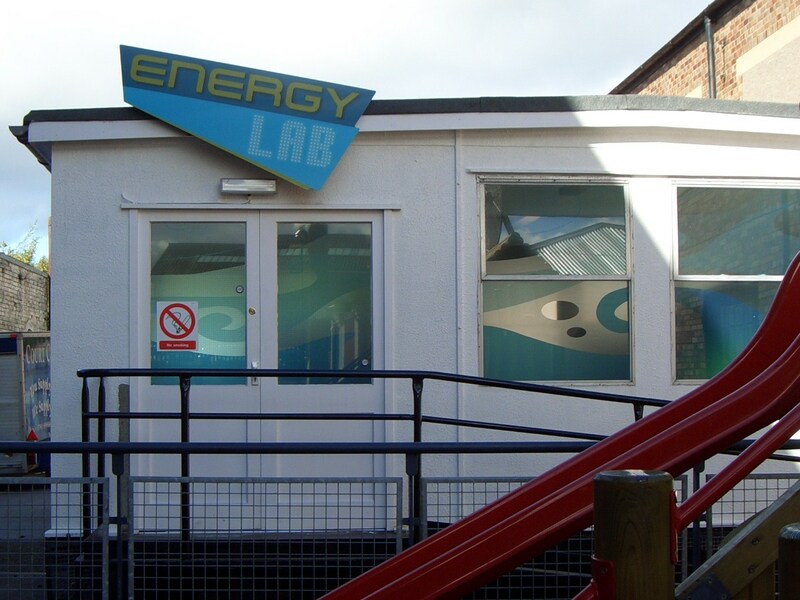 Let’s hope that the Energy Lab can help inspire some of the children of the coal-mining areas of Midlothian to turn their creative problem-solving energy towards engineering a sustainable energy future for us all! Thank Roger – fixed now (sorry emily), happy to link to your webpage/facebook or whatever if you would like me to?